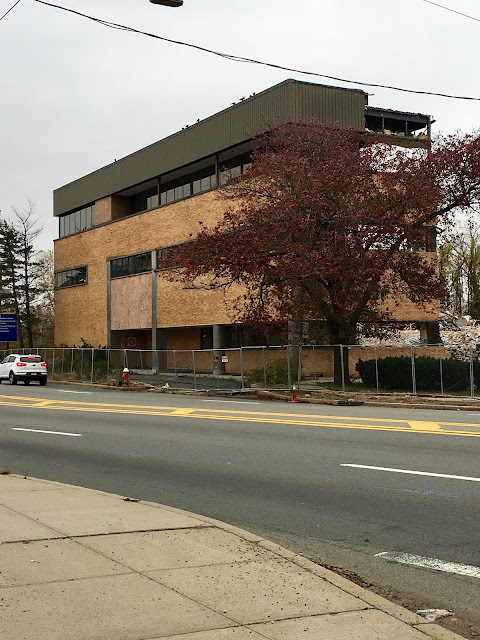 STOP THE PRESSES: As demolition continued today, the most recognizable part of The Record's former headquarters in Hackensack is this section of a 3-story executive wing fronting on River Street. The wing included offices, a private dining room, a kitchen for the executive chef, a gymnasium and a hallway art gallery. ELEVATOR TO NOWHERE: The 5-story elevator tower at the rear of the headquarters building also remained standing today. 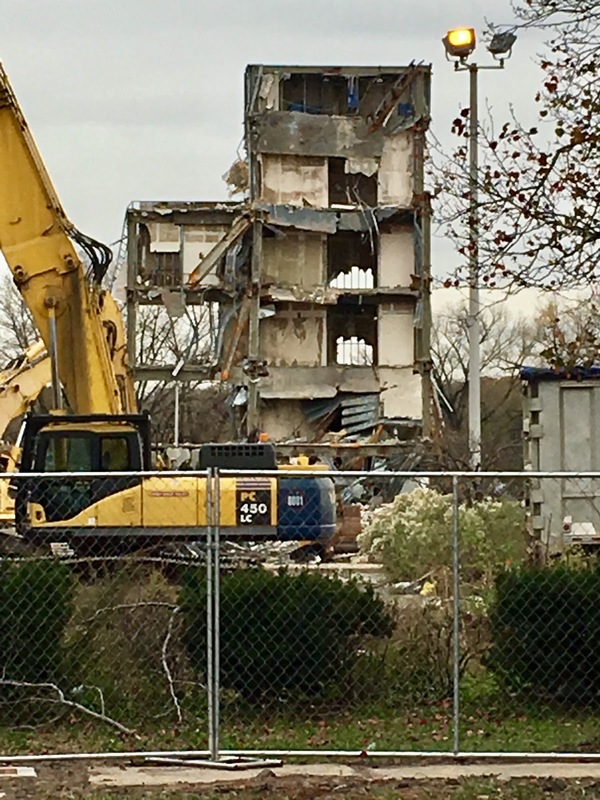 THAT EMPTY FEELING: No part of the building at 150 River St. remains standing between the section of the executive wing and the elevator tower. SEPT. 2, 2018: The executive wing as it appeared in September. The Record closed its headquarters in 2009, relocating to an office building overlooking Route 80 in Woodland Park. Printing of the once-great local daily newspaper was moved to Rockaway Township in 2006. FOURTH-FLOOR NEWSROOM: The newsroom was on the 4th floor of the headquarters building. The large windows framed the tower of smoke rising from the destruction of the World Trade Center in Manhattan on Sept. 11, 2001. 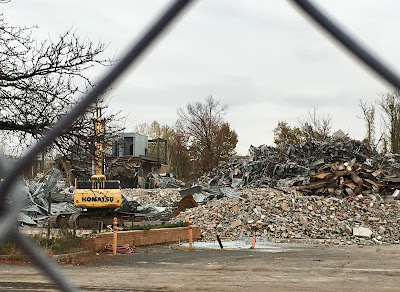 See a short video of the demolition work, below.